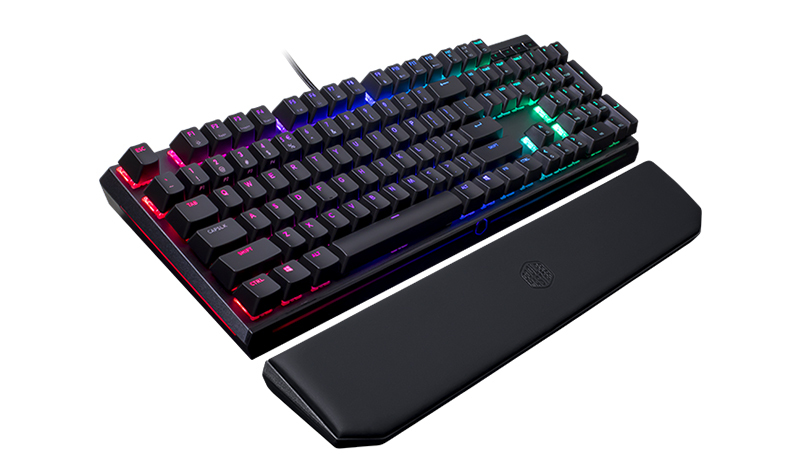 “We wanted to further raise the bar so we designed a keyboard that harbors all of the fantastic existing features of our MasterKeys Pro line, except now we added more elements that will further enable a competitive gaming setup; such as dedicated media keys and removable wrist rest for comfort,” says Bram Rongen, Peripheral Sr. Product Marketing Manager. Gamers demand the best, which is why our MasterKeys MK750 uses only real Cherry MX Switches delivering durability, responsiveness, accuracy, and tactile satisfaction. Use the onboard processor and memory to execute every demand on-the-fly without lag. 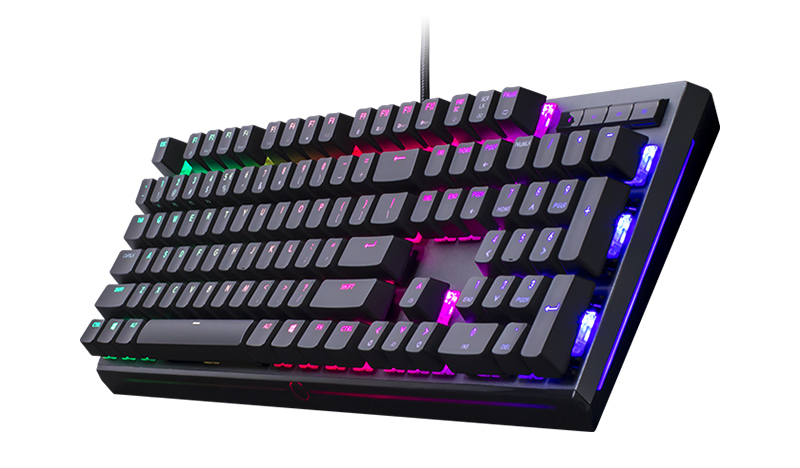 For the pros out there interested in custom keycaps, the MasterKeys MK750 features a standard layout but also comes with nine purple doubleshot PBT gaming keycaps for ultimate durability. 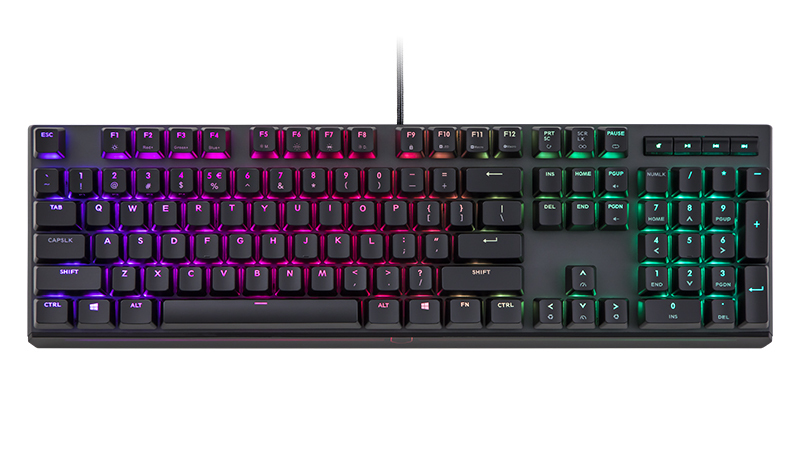 Aesthetics matter, which is why the MasterKeys MK750 features not only a minimalistic slim design but also a unique radiant light bar adding style and ambiance to your gaming experience. Choose your lighting preferences or turn them off through the user friendly software application. 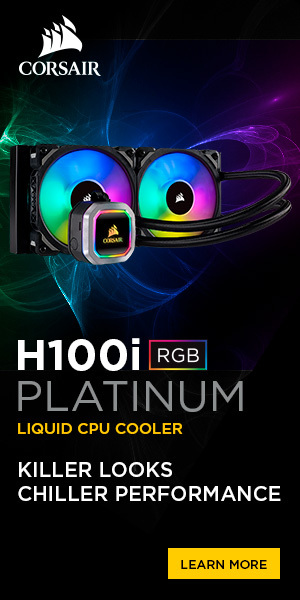 It’s also equipped with per-key RGB backlighting for maximum personalization. Give your wrists a break by simply attaching the magnetic removable wrist rest during extensive gaming sessions. The wrist rest is enveloped in ultra-soft PU leather and memory foam to provide optimal comfort during marathon gaming. 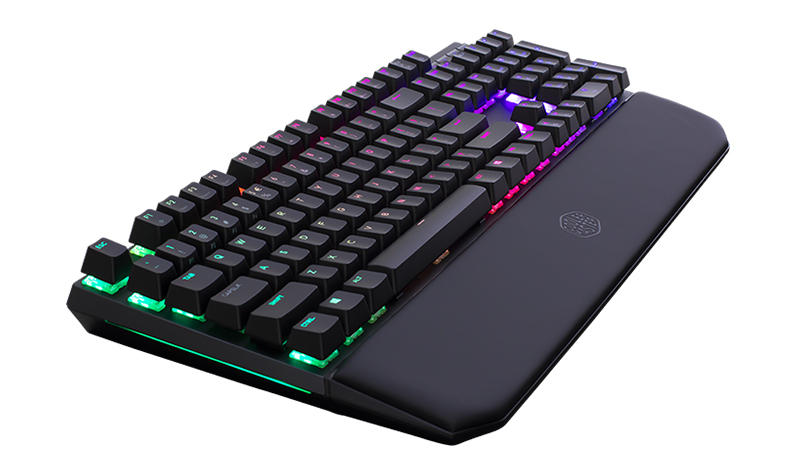 The keyboard is fully loaded with practical features to ensure success on the battlefield and there is no doubt that the MasterKeys MK750 focuses on the features that matter. 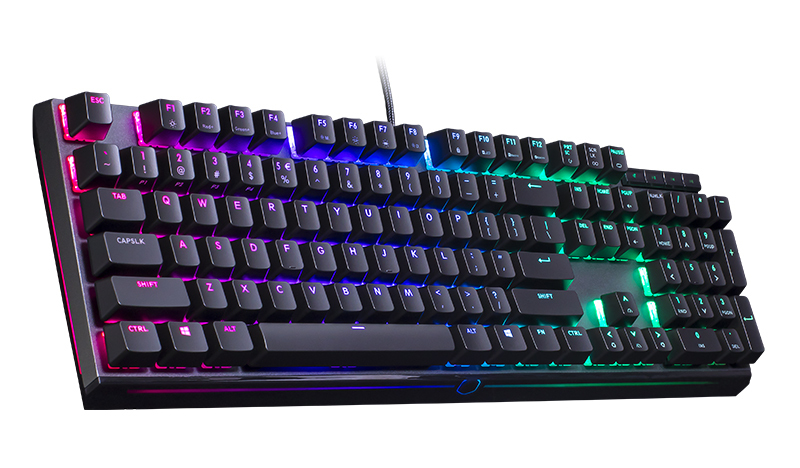 The MasterKeys MK750 will be available on Amazon and Newegg on November 21, 2018 respectfully, for $159.99 & €159,99. 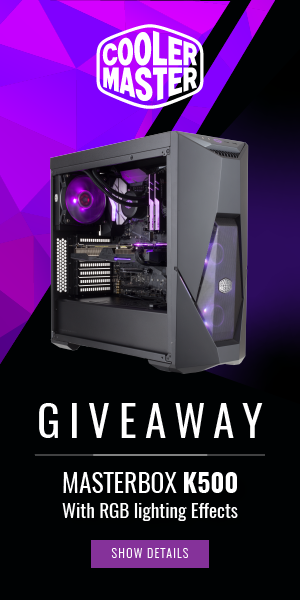 For more information please visit www.coolermaster.com.